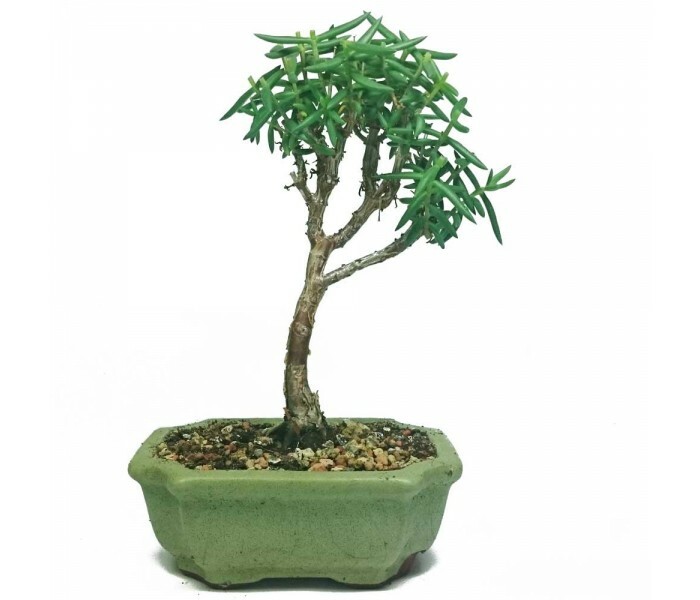 Technically a succulent plant and not a bonsai tree, Crassula Tetragona looks great when grown as a bonsai. It develops a woody trunk and is quick growing making it easy to shape as desired. 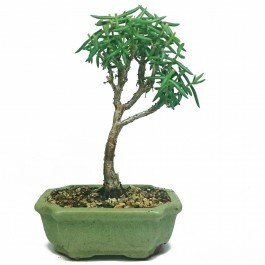 These succulents are very forgiving and require much less water then other bonsai trees. You can allow them to almost completely dry out before watering. 17cm tall from the top of its 13cm glazed bonsai pot.